Posted By:Unknown | At:7:29 AM Be the first to comment! 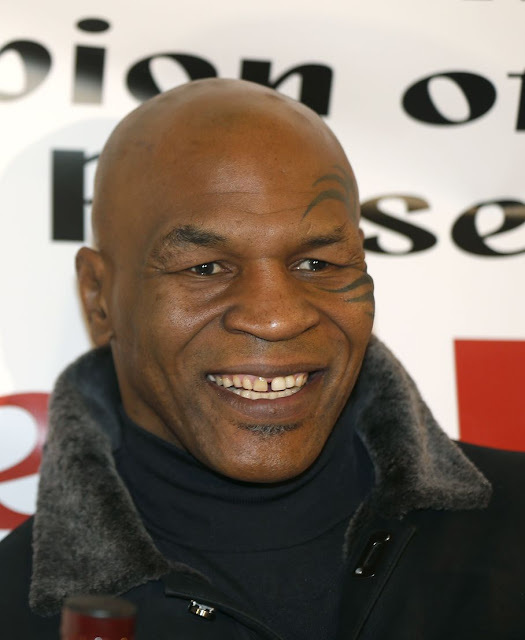 Mike Tyson sued a financial services firm owned by Live Nation Entertainment on Wednesday, claiming one of its advisers embezzled more than $300,000 from the former heavyweight champ and cost him millions more in lost earnings. The lawsuit claims that Live Nation and its company SFX Financial Advisory Management Enterprises haven't given the boxer and his wife, Lakiha, a full accounting of their losses. The company returned some of the embezzled money but wanted the Tysons to sign a nondisclosure agreement, which they refused, the suit states. The lawsuit seeks more than $5 million in damages for breach of fiduciary duty, negligent hiring, unjust enrichment and other claims. A spokeswoman for Live Nation Entertainment Inc. said the company had not been served with the lawsuit and could not comment on it. The lawsuit claims the embezzlement prevented the Tysons from emerging from bankruptcy, and forced them to hire new advisers and turn down lucrative contracts. The couple trusted Brian Ourand, their adviser at SFX, so much that he attended their wedding, the case states. Ourand, who could not be reached for comment, has since left SFX, according to the lawsuit. The filings claim his conduct has not been reported to regulators. "Defendants did not secure, protect, safeguard and appropriately apply the Tysons' finances for their intended purposes," the case states, "but instead misappropriated said funds for the benefit and enrichment of SFX/Live Nation. The former boxer has broadened his career in recent years. He appeared in "The Hangover" and is leading a one-man autobiographical show, "Undisputed Truth."